We here at Pergan Marshall are a full line organic peroxide manufacturer located in Marshall, Texas proudly since 1968. Pergan Marshall is a wholly owned subsidiary of Pergan GmbH located in Bocholt, Germany. 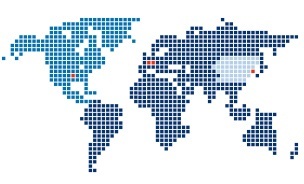 Pergan is a truly a global organic peroxide producer with plants in the US, Europe and China. Over the past 40 years Pergan Marshall has manufactured the highest quality organic peroxides on the market. Since we have been producing for such an extensive span of time, we have gained extensive knowledge and experience on handling and producing nothing but the best. For a list of products we produce feel free to click on the Products tab or give us a call at the number provided below.